It’s a fickle game, rugby league. But for now the Broncos are topping the NRL ladder and the team looks destined to feature in the big games at the end of the season. There are a five key lessons that we can take from them and the way they put together their team performances. Everything you’ll read here will be familiar to you. There’s nothing ground-breaking or hard to understand about what drives their team dynamics. But the combination of these top priorities and the way they are executed from the head coach, through all the support staff and the players, is what sets high performing teams apart from the rest. I had a great chat with Steve Hooper – Athletic Performance Coach at the Broncos. 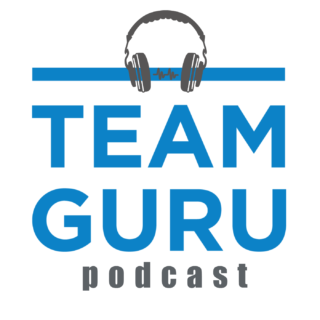 You can hear the whole interview by listening to the first episode of the Team Guru podcast. He talked in depth about the way they focus their energy and ensure that everyone contributes. No matter what industry you work in, here’s the five things the Broncos do that you can transfer directly into your team. The message is clear. It comes from the head coach and it is adopted as a living doctrine by anyone who wants to remain at the club. Every activity is judged by its impact on the team’s ability to win games of football. Anything that doesn’t contribute to that mission is deemed a waste of time. Sure. That’s easy for a football team to say. Their mission is to win football games. Life in the corporate world is not quite so simple! We don’t have just one goal. Your team might have a lot of moving parts. A lot of balls in the air. But you have to find one goal that brings all those moving parts together. Patrick Lencioni calls it a ‘Thematic Goal’. It is a rallying cry for the team. It is big and aspirational and it brings all of those other goals together into a common cause that everyone in the team has bought in to. If you can’t find a Thematic Goal, then you have to seriously question if this ‘Team’ is really a team. Or just a group of people roped together for the benefit of the org chart. Those other goals, the ones that sit below the Thematic Goal – Lencioni calls them Defining Objectives – are the things your team needs to do to fulfil its purpose. They are the ‘lots of ball in the air’. You and your team need to find that one, big Thematic Goal. Your team’s rallying cry. And it needs to be communicated often. Everything you do needs to be judged against its ability to help achieve that goal. If it doesn’t, then it’s a waste of time. I’m not sure why, but it really surprised me to hear Steve talk so much about the ‘tight, detailed role description’ for every one of the players, support staff and coaches. In fact, he said that the clarity to those role descriptions is what sets Wayne Bennett apart from the other coaches he’s worked with in professional rugby league. I was surprised to hear that because I guess I assumed that at the NRL level players were so skilled and developed they’d have free reign to operate as they saw fit. But now I’ve had thins conversation with Steve, heard the rationale and pondered what it’s really saying, it makes complete sense to me. Just as Dr Donald O Clifton preaches in his Strength Finder inventory, Wayne Bennett knows that the best way to instil confidence in his players and have them contribute to the team’s success is by getting them to concentrate on the things they are good at. The clarity of Wayne Bennett’s role description to each of his players makes it much easier and constructive to review team performances and hold to account those who are not doing their job. It’s not enough that individuals understand their own role descriptions. In order to operate as a cohesive unit, they must understand the role descriptions of each of teammates too. Now this is one thing that didn’t surprise me. Of course my own Healthy Team and Healthy Leader models are predicated on the need for team members to know each other as people and for leaders to have empathy – in the true sense of the word – for everyone on their team. …and of course, I knew that Wayne Bennett is famous for the deep relationships he develops with his players. Wayne Bennett is well-known for caring about his players as people. He knows who’s got a new girl friend or who’s just broken up with one. He doesn’t just know who’s recently added a baby to their family, but is empathetic about the impact that might have on their ability to rest and prepare for training and the games. Wayne Bennett cares about the development of his players as young men as much as he does about what they can do on the field. He doesn’t do this because it’s easier to have the tough conversations when he needs to…but it certainly helps. It’s not possible to pretend for 30 years that you’re interested in the people around you. In Wayne’s case, all reports suggest that it’s entirely authentic. Of these five lessons we can all take from the Broncos – this is the most transferable. It doesn’t matter what type of team you run, the strength of your relationships with the people around you will determine the impact you can have on the team’s performance. Because of the big Queensland TV audience, the Broncos usually play on Friday night. They have recovery sessions on Saturday and then everyone, except the assistant coaches have Sunday off. The assistant coaches spend Sunday analysing the game, squeezing it for every lesson they can learn. On Monday, the whole club – players, coaches and support staff – attend the video session where last week’s game is analysed. Because of the strength and clarity of the role descriptions it’s a simple, yet sometimes tough, process of praising people for their contributions to the team’s success and calling them out when they do something that falls outside of their permit – and hurts the team. Not only are the performances of individuals scrutinised, so too are their combinations with the players around them and the team plan. The coach himself is not immune from criticism and scrutiny. These sessions are often long and rigorous. But once they are finished, and every lesson has been squeezed out of it, they put a line under it and move on. This is where Wayne Bennett, and the entire performance culture of the Broncos, really cashes in on the authentic, caring relationship he has with each of his players and staff. Everyone can expect to be called out for anything they do that is unproductive – i.e. does not contribute to a win. During the video session on last week’s game, Wayne will stop the tape and, in front of the group, highlight an on-field behaviour of an individual player that does not fall within their role description and hurts the team. Indeed, if a player tried something successfully in a game that doesn’t not fall within their role description they will be commended for the fact that it came off, but reminded that it is not within their permit and in this team we play our role; nothing more, nothing less. The same is true on the training paddock and in a player’s nutritional and physical preparation for the game. That same level of discipline, expectation and accountability flows through all of the coaching and support staff – not just the players. Steve said that for the first time in his career he feels totally accountable for everything he does. It’s not just the head coach who calls people on their performance. They players will make it clear to each other, on the field, in the heat of the game, when someone has let the team down by not fulfilling their role within the team plan. Steve talked about the times he runs onto the field with a water bottle. It’s often just after they have scored a try or the opposition has. That’s a time when emotions are raw. He hears the players analysing their performance on the run, relating it back to their team plan and individual roles. And he hears them sending clear messages to each other about their performance. Nothing – even personal relationships and fragile feelings – is more important than a win.